You might have heard of distemper before, but you may not know what it is or how it can affect your pet. Distemper is a viral disease that can have a grave impact on the central nervous system (CNS), gastrointestinal tract, and respiratory system of your animal. Distemper can affect all types of dogs but puppies under 7 weeks of age are particularly susceptible to infection. Detecting distemper can prove quite challenging since many of the initial signs of the virus are common while more definitive symptoms may not present themselves until the infection is well underway. A definitive diagnosis can often require several tests in the context of a dog’s medical history, as some test results may return a negative result in spite of an infection (“Canine Distemper” [CD], 2014). Distemper, like any viral infection, affects different dogs in different ways. Approximately half of all dogs infected with distemper will display no symptoms or may only exhibit mild lethargy for a few days. Of the dogs that do develop symptoms, nearly half face a potentially fatal infection requiring supportive medical care (“Symptoms of Canine Distemper” [SCD], 2014). Dogs that do experience symptoms will first show general signs of infection. These signs may also be accompanied by fever, diarrhea, and vomiting. Secondary infections, including pneumonia, may also develop in dogs with compromised immune systems, as lymphopenia (a drop in white blood cells) is also a common effect of distemper. When certain symptoms are suppressed, distemper can be easily misdiagnosed as Kennel Cough (Foster, n.d.). Distemper infections can also be confused with Rocky Mountain spotted fever, canine hepatitis, and other systematic infections. These gastrointestinal and respiratory symptoms may also be accompanied by the hardening of paw pads and nasal planum (the nose), though this is indicative of neurological impacts of the disease. Puppies affected may also experience underdeveloped teeth that are missing enamel or that are not fully emerged from the gums (Creevy, 2013). Though not all dogs infected with distemper will experience neurological symptoms, the disease may affect your pet’s nervous system at any stage of the disease’s progression. As there is currently no treatment to completely eliminate distemper from your dog, neurological signs may occur well into your dog’s life during their senior years. When distemper does affect older dogs, it is known as chronic distemper encephalitis, or old dog encephalitis (ODE). Dogs with distemper may experience any, all or none of these signs over the course of their infection. As stated, neurological symptoms may present themselves alongside other symptoms or any time after other symptoms have subsided. This is largely due to the way in which the disease afflicts the brain and CNS (Creevy, 2013). Distemper is caused by the paramyxovirus, which spreads through direct contact with fresh urine, blood or saliva. This means that the disease can be spread from coughing or sneezing animals or through shared use of water, food, or food and water bowls. Though the virus is only capable of surviving at room temperature for a few hours at a time, it can survive longer in colder temperatures and last for weeks in freezing temperatures. Puppies and dogs with weakened immune systems are particularly vulnerable to infection. This disease is highly contagious, so it is highly recommended that you vaccinate all puppies as recommended by your veterinarian. 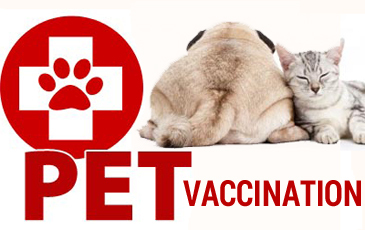 For most dogs this entails immunization with canine distemper modified live virus vaccines when 6 weeks of age. The vaccination process also generally requires regular boosters every 3-4 weeks for up to 12 weeks, until they are 16 weeks of age. Dogs over the age of 16 weeks are generally given a single vaccination. Some veterinarians may also recommend use of the measles virus vaccine to induce immunity to the canine distemper virus in pups with particularly strong immune systems, which is generally administered along similar guidelines. Though some veterinarians may recommend annual boosters for these vaccines, the most recent American Animal Hospital Association (AAHA) vaccination guidelines suggest that this is excessive. The AAHA guidelines recommend a single booster for puppies that received the initial vaccination series (during their first 16 weeks) at one year of age. 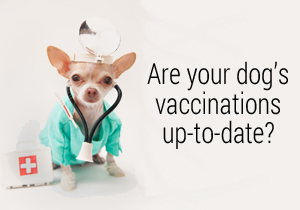 Thereafter, and for dogs and puppies that received their initial vaccination after 16 weeks of age, a booster vaccination is only recommended once every three years. These guidelines apply to the standard distemper shot (CDV), the measles shot (MLV), and the recombinant canine distemper vaccine (rCDV). The recombinant vaccine is produced using specific subunits of the virus rather than the complete unit (Welborn et al., 2011). Maintaining a sterile environment can also be vital to preventing the spread of this disease. Regularly disinfecting your puppy’s kennel and the places they play can reduce incidents of infections. If you notice that a puppy or dog is sick, even if they are simply sneezing or coughing, it may help to isolate the dog until the source of their illness is determined. As previously stated, diagnosing distemper can prove an arduous task. Canine distemper tests can be used to confirm an infection but cannot definitively give a negative result. Veterinarians checking for a distemper infection may begin with urinalysis and blood work. If these results indicate that a dog has suppressed immune system, or lymphopenia, then your veterinarian may proceed to test for distemper antibodies in your dog’s system (CD, 2014). These antibodies can be found through a serology test; however, this test cannot determine whether the antibodies are the result of vaccination or from exposure to a virulent virus. Additionally, senior dogs with ODE will not make antibodies in response to their infection. 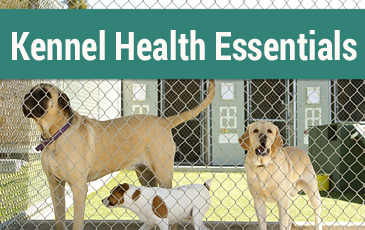 Because of these limitations, serology tests may not be an option for your dog (SCD, 2014). Instead, your veterinarian can check for viral antigens with an immunofluorescent assay, which entails mixing fluorescent antibodies with the blood. If the virus is present in your blood then the antibodies will attach to the virus causing the blood to glow. This test will not detect the virus if it hides within cells, so he may also opt for an RT-PCR, or a smear of certain body parts that appear to be affected by the virus (Creevy, 2013). Lastly, CT, fMRI, and MRI scans may be performed to examine the brain for lesions. In spite of these tests, your veterinarian may also elect to run a CSF analysis, testing the fluid surrounding the brain and spinal column. Once a positive analysis is confirmed, there are a variety of treatments that a veterinarian may suggest to help your pet. 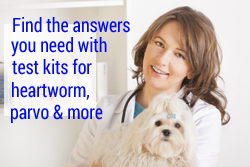 There is no way to cure your dog of distemper- only ways to treat its symptoms. This can entail giving intravenous supportive fluids to treat anorexia and dehydration caused by diarrhea; it may also require the use of broad-spectrum antibiotics to fight secondary infections. Once a dog’s gastrointestinal and respiratory symptoms have subsided, it is no longer capable of spreading the virus (“Distemper in Dogs”, n.d.). Even after these symptoms subside, however, the virus can lay dormant in the brain of dogs with a persistent infection. The condition of dogs experiencing neurological symptoms can be improved with the use of dietary omega-3 fatty acids; though afflicted animals may continue to experience seizures, they can be controlled with potassium bromide and phenobarbitals. Dogs with more advanced neurological problems may benefit from immunosuppressive therapy, anti-inflammatories, and glucorticoids.